France; Late 12th Century. Latin Text; Carolingian Minuscule. This text is from a special arrangment of the Psalms. Several Church Fathers made their own groupings for the Scriptures. Of these so-called "chains" the most famous is that of St. Thomas Aquinas. The author of the arrangement represented by this leaf is unknown. 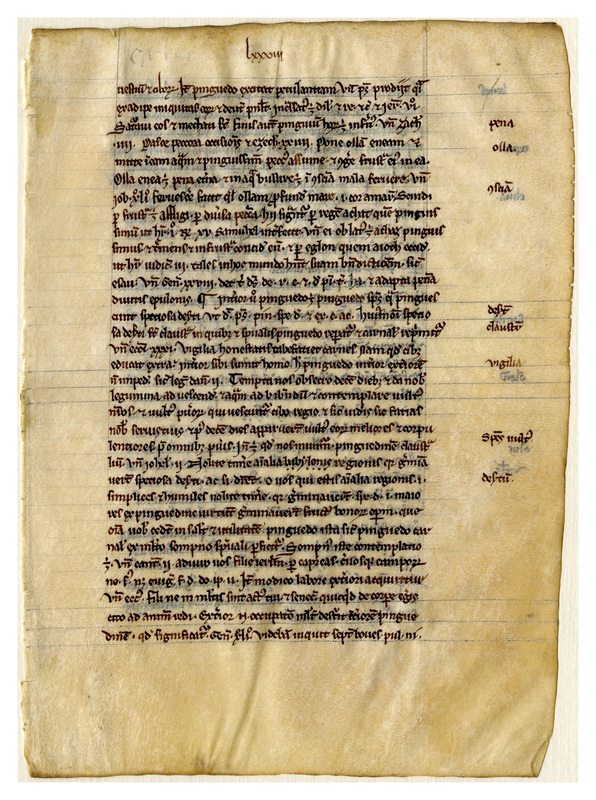 The scribe of the 12th century often came close to achieving perfection. The symmetry of his letters, the unerring accuracy of his practiced hand, and his ideals for letter forms have rarely been equaled and have never been surpassed. The words which were inserted in the margin are not corrections but were added as guides to the content of the page. This leaf from a twelfth century French psalter is without illumination or decoration of any kind. The text is highly abbreviated and therefore singularly difficult to identify or transcribe; it has given us more trouble than that of any other leaf in the portfolio. The vellum is very yellowed, brittle, and hard, with lining in ink and brown ink for the text. Identifying marks for the Denison leaf include identification for the text by the scribe on the recto top margin as, well as light erasures in the top margin of the recto and the top left corner of the verso. 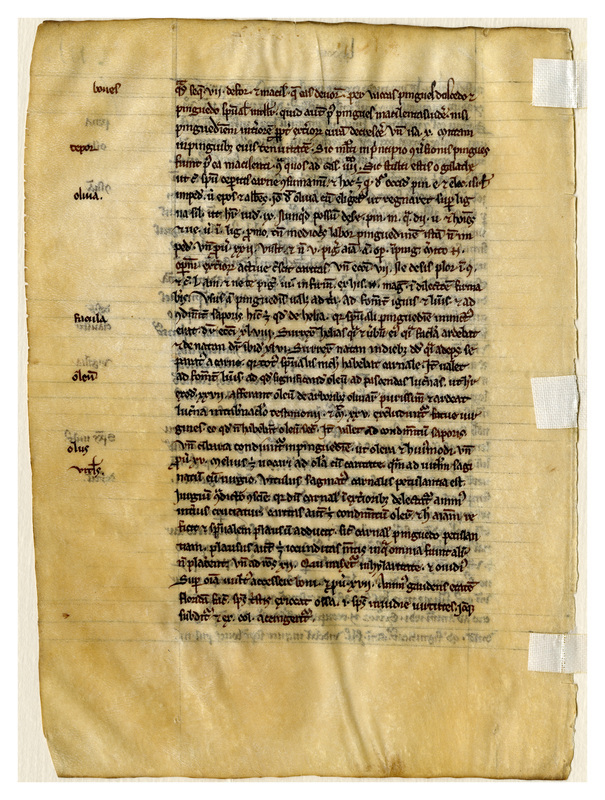 “E0004 Leaf from a Psalter (Psalterium),” Digital Exhibits | Denison University Archives & Special Collections, accessed April 23, 2019, http://exhibits.denisonarchives.org/items/show/28.